We often find that the women whose outfits we stop to admire share one essential quality: polish. Even if they range in style genre (boho, minimal, edgy), these looks feel pulled together and thought-out. Though there’s no magical recipe or equation for achieving polish, there are tips, and today we’re addressing seven of them. Scroll down for our ideas on how you can instantly add polish to your ensemble, and be sure to tell us your secrets in the comments! #1: Add a third piece. This isn't the first time we've shared this essential tip, but in case you missed it, always opt for a third piece when assembling your outfit. #2: Choose your fabrics wisely. Mix non-basic fabrics like chiffon, linen, and lace for an intriguing look. Fact: It's nearly impossible to feel polished in clothes that don't fit you properly. #4: Have chic accessories on standby. Even if you're wearing a T-shirt and jeans, a silk scarf tied around the neck adds instant polish. Shop our ballet flats boutique. #5: Be picky about your denim. 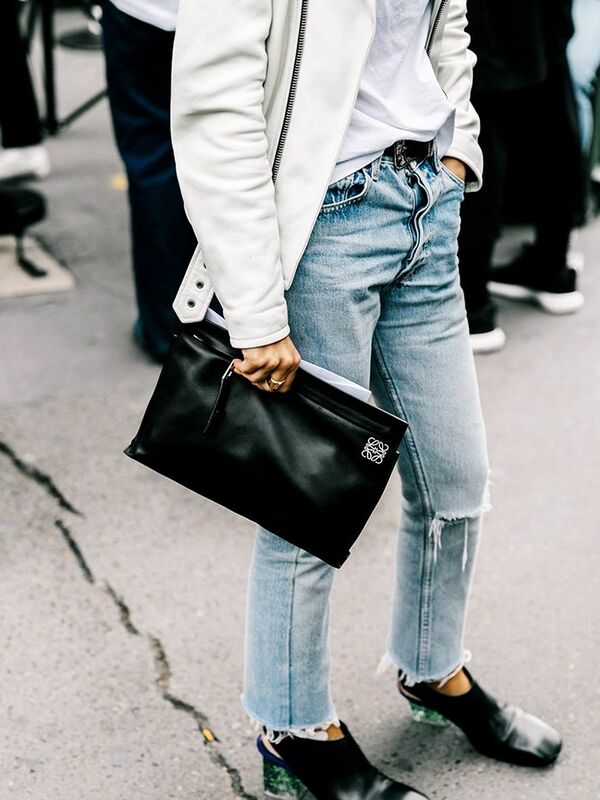 Listen, we're not saying you can't wear your ripped jeans, but opting for cleaner iterations will inevitably make you look (and feel) more elevated! #6: Invest in a steamer. If you've been putting off investing in a steamer, let today be the day. Everything looks better wrinkle-free! #7: Let your jewelry steal the spotlight. Pull together your staples with a conversation-starting jewelry piece. Do you agree with these tips? Tell us your secrets to looking polished in the comments!